As part of the Bourne Estate regeneration in the Hatton area of Holborn, I‐MEX (M&E) Ltd completed the mechanical infrastructure and full electrical services to communal areas and apartments for 75 new homes; working for Higgins Construction Plc to deliver a mixture of private & shared owner ship units for Camden Council. 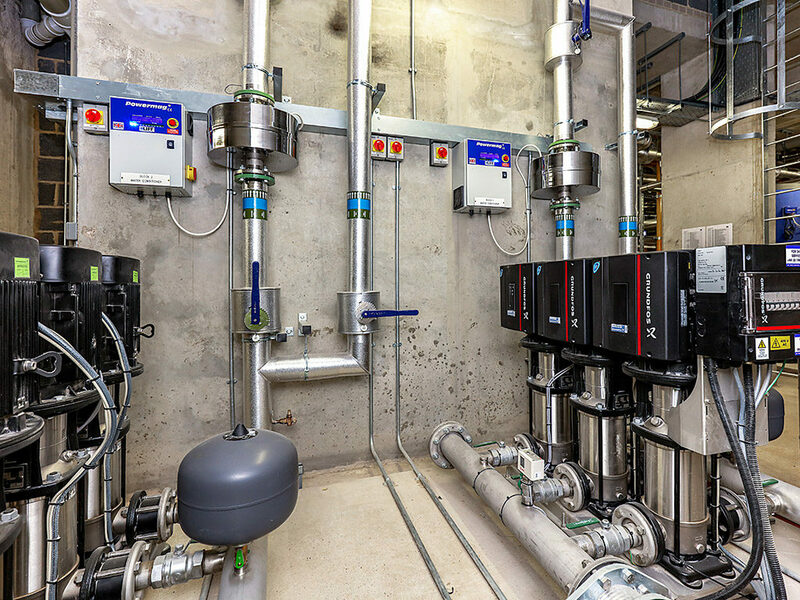 As part of the mechanical services infrastructure package, I‐MEX and their supply chain focused heavily on the logistical challenges faced when trying to install the major plant & pipework sections into the plantroom, some 3 metres below ground in the centre of a busy area within London. To overcome this challenge I‐MEX employed a plant moving specialist to install the major plant without the need for opening existing structures. The pipework sections were pre‐fabricated off site to minimise the requirement for hot works in the basement plantroom. 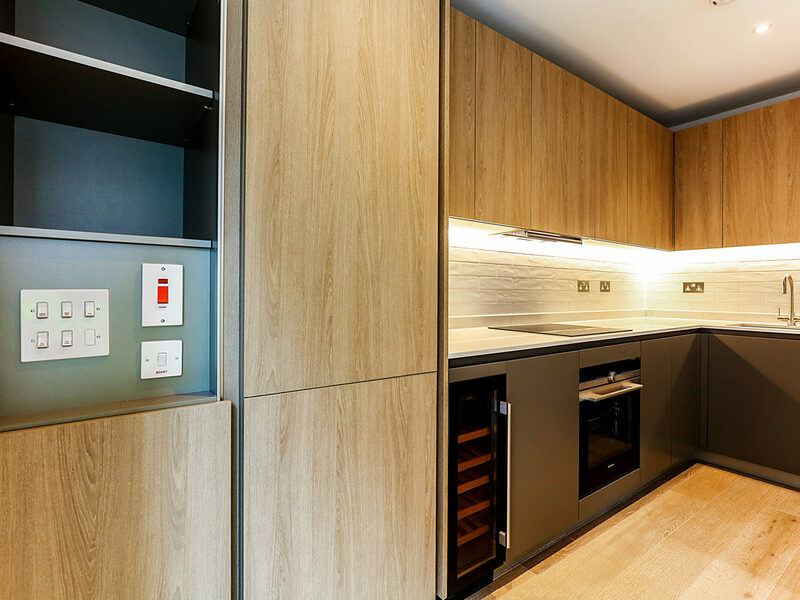 The electrical installation works included the full supply & installation of all mains distribution, communal installation and accommodation fit out. With areas such as the external lighting scheme and MUGA lighting forming part of the I‐MEX contract.